This contest is for GITAM Students. The minimum number of people in the picture should be 3. 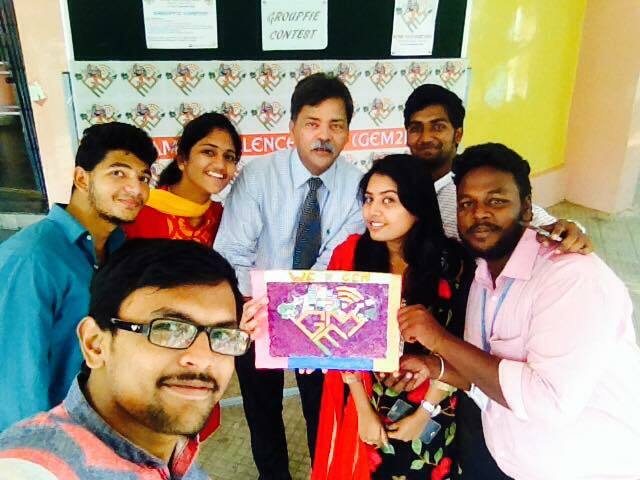 Every person in the groupfie should have already liked the GEM2K15 Official Facebook Page. The picture should be taken at the GEM standing banners ensuring the visibility of the banner and one should hold GEM badge. Inbox your groupfie to the GEM2K15 Official Facebook Page. The winner will be chosen based on the highest number of likes. The winning group will be given free tickets for a movie.